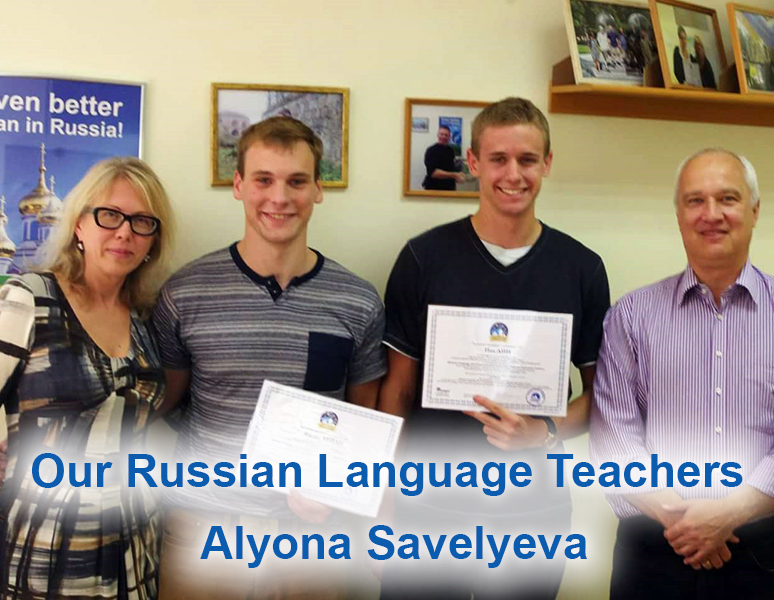 We would like to tell you about our Russian language teachers, therefore we start publishing articles about them. You will know where our teachers studied and what they do in the project Learn Russian in the EU. 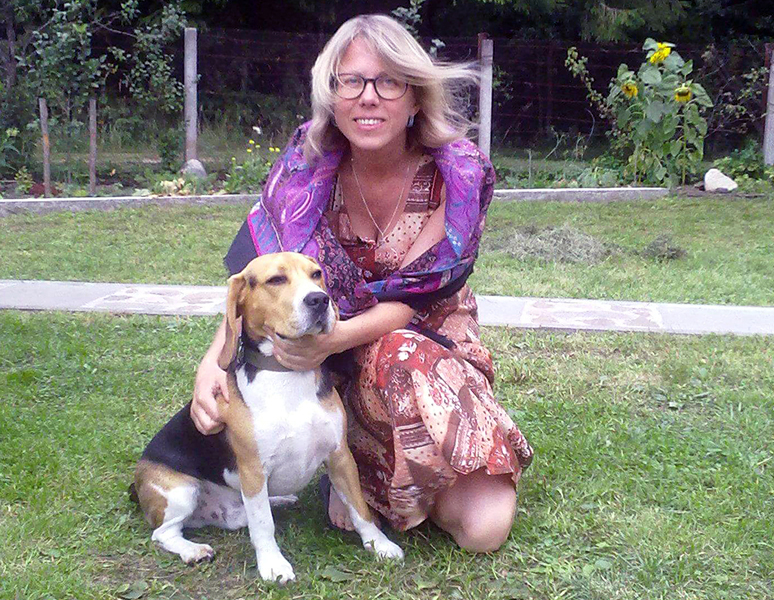 In our today’s interview we have asked Alyona Savelyeva to tell us about herself and her job. Hello! Could you please say a few words about what you like doing in your free time? I do love reading. I try to read whenever I have some free time. My favourite reading is Russian classical literature, Chekhov. I also read British and American authors. I do sport, go jogging, and do TRX three times a week. My lifetime ambition is to run a marathon, but I’m afraid I’m too lazy to get ready to it properly. My dog is an important part of my life. He is a beagle, his name is Snoopy. The only problem I have with my dog – he hates running with me. I graduated Daugavpils University with the Master of Arts degree in linguistics. And I’m a qualified teacher of Russian language and literature and English language. I try to regularly go on teacher development courses for Russian and English language teachers. For example, last year I spent two weeks in Florence doing TEFL English teacher course. Where did you work before you joined Learn Russian in the EU project? After the university I worked as a lecturer at the English language department of Daugavpils University for 7 years, after that I started teaching Business English at Riga International School of Economics and Business Administration. How long have you been working with foreign students teaching them Russian? I have been teaching Russian as a foreign language since 2009. Are there any peculiarities of teaching Russian to foreign students? There is a huge difference between teaching Russian to Russian natives and to those who study it as a foreign language. You should explain quite many things to foreign students, which Russian natives use instinctively. But it’s obvious, of course. In methodology we distinguish between teaching language to native speakers and to foreigners. What challenges do foreign students face when they study Russian? Beginners often find it difficult to get used to the Cyrillic alphabet and pronunciation of some Russian sounds. Most students think that Russian cases and verbs of motion with prefixes are really challenging. I have experience of working with students of very different age, from 18 to 70, but the average age of our students is 20-25. What programmes are you involved in? What programmes are most popular? I work with the programme “Communication and Interactive Grammar”. This programme is really popular with our students, as majority of people who study a foreign language because they want to be able to communicate in it. The main goal of this programme is to equip students with knowledge and skills needed for successful communication. A few words to our students? There is a nice English saying – Practice is the best teacher. Don’t be lazy, don’t be afraid of challenges and you will make it! In the future we would like to tell you about our other teachers. Follow the updates! When studied in the project are very pleased to work with Alyona. One can see that she loves her job, classes were interesting and exciting, much better than some Russian teachers, from whom I studied in the United States. And it is interesting to talk about culture, both Russian and foreign. Nice story! It will be interesting to read about the other teachers!